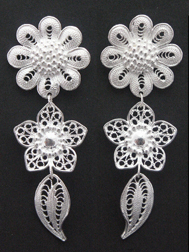 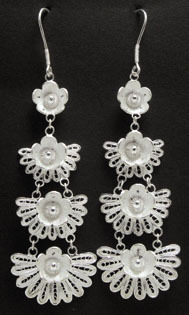 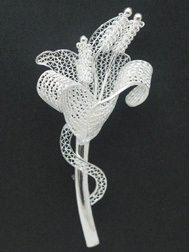 Filigree products have unique delicate designs with lacy appearance, made in high quality and excellent craftsmanship. 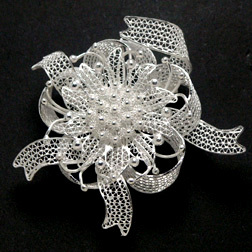 Small Flower:18.7 mm;Big Flower: 2:16.7 mm; Leaf:17.2x8.9 mm. 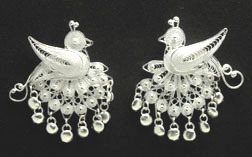 Total Length:55mm.